Gen-Eye Micro-Scope2® Inspection Results In A Flash! 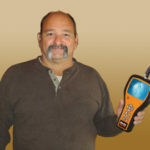 The Gen-Eye Micro-Scope2® compact, handheld pipe inspection camera tool features a new Command Module that includes a USB port to record on a flash drive. You can watch the action on a big 7” LCD color monitor for crisp, clear pictures and record videos or photos on the flash drive with the one-touch record button. The Micro-Scope is packed with other great features like 4X digital zoom, picture rotate and mirror image buttons, voice-over recording, date and time stamp, and LED Dimmer Control. The internal battery lets you record remotely for up to 4 hours. On-screen status indicators include flash drive capacity indicator and battery strength indicator. 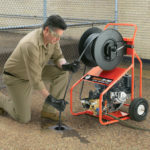 The lightweight, compact reel carries 100 ft. of micro push-rod with a color camera, giving you the ability to inspect 1-1/2” to 3” drain lines and many toilet traps. 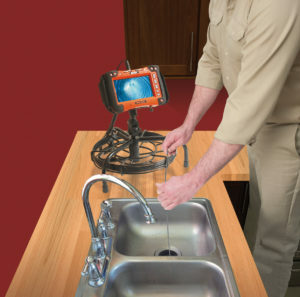 The adjustable mount on the reel let’s you set the monitor to the best viewing angle, wherever you’re working. The Command Module also includes a 3 ft. Probe-Rod with color camera for inspecting hard to reach places. Three adapters are included to improve your viewing angle or to retrieve objects. 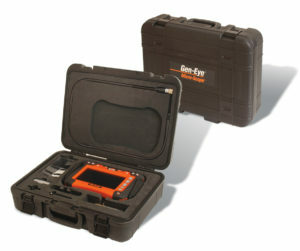 Heavy-duty carrying case neatly contains Micro-Scope Command Module, probe-rod, attachments, cables, and accessories. 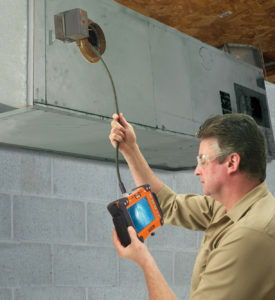 The Command Module also includes a 3 ft. Probe-Rod that lets you inspect hard to reach places, like duct work, furnaces, crawl spaces, and more. 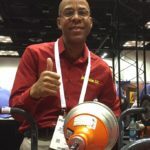 Record video or still images on flash drive. Can handle up to 128 GB flash drive. Rotate and mirror image buttons. Internal microphone and speaker lets you add commentary to your videos. Micro-Scope Handheld Command Module, with 7” LCD monitor, 3 ft Probe Rod and Color Camera, 3 Probe Attachments, 8GB Flash Drive, AC & DC Power Cords, and Carrying Case. 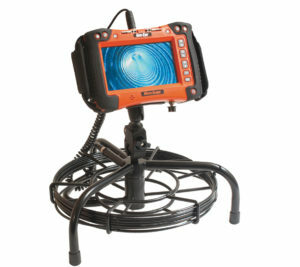 Micro-Scope Command Module with Open Reel, 100 ft. Push Rod, 3 ft Probe Rod and Color Camera.